How often we remember famous names, but not exactly what they did, or what they were like, or where they came from. 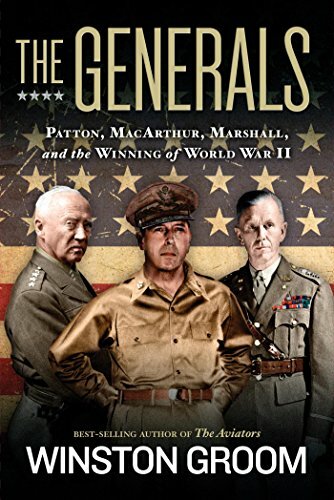 The Generals, takes us on a well guided tour of the lives of three giants from the Second World War, Patton, MacArthur, and Marshall. Three men, very different in temperament, strengths, and weaknesses. Patton is probably the best well known of the three, in large part due to the eponymous Oscar winning film starring George C. Scott. Scott also took the Oscar for Best Actor, but unlike the general, who was known for his love of the spotlight, Scott did not accept the Oscar, but he wore the famous ivory-handled pistols well. 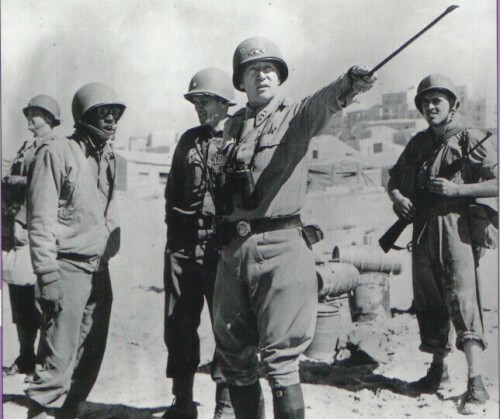 Patton was once asked about his pearl handled pistols. His attributed reply was pure Patton: Son, only a pimp in a Louisiana whore house carries pearl handled revolvers, these are ivory. There have also been many films about Douglas MacArthur, the last being The Emperor in 2012, starring Tommy Lee Jones. 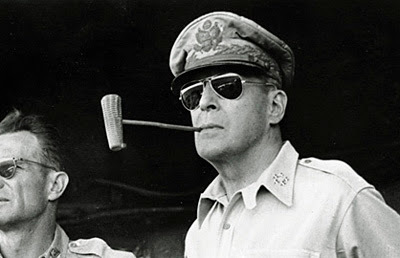 Many would recognize the corncob pipe, aviator sunglasses and crushed military cap. George Marshall is perhaps the least known by today’s public, but was called by Winston Churchill, “The organizer of victory.” In addition to his military career, he served in many high governmental positions, including Secretary of State, and Secretary of Defense. So why isn’t he more well known? The simple answer is he didn’t win fame on the battlefield. His organizational and planning abilities were so great that even before he was a Lieutenant Colonel, his expertise led him to be called by name from one staff job to another. 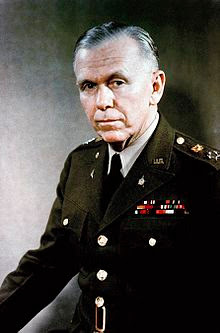 In World War II, his was the guiding hand behind every strategic and logistical decision across both theaters of war, Europe and the Pacific. 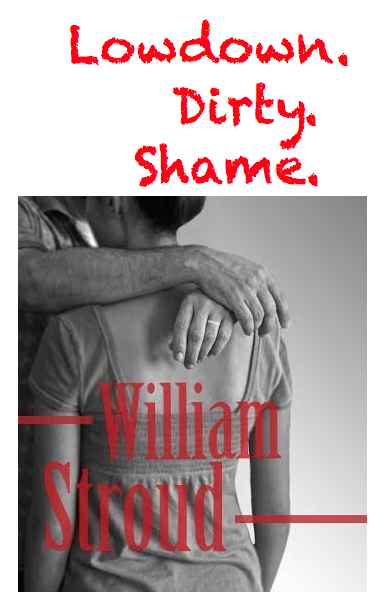 So, what about Winston Groom’s book, The Generals? In a word, fascinating. 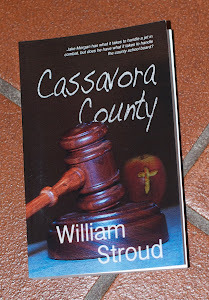 His prose style is closer to that of a skilled novelist who keeps you turning pages and keeps you up late at night. Anyone can list a chronology, which becomes deadly boring after a page or two, but Groom is a storyteller and a storyteller fills in the gaps and places his subjects in a moving panorama of the times and circumstances. Throughout the book, the personalities shine brightly, not only in the context of military performance, but loves, hates, friends, and associates. Groom follows these men from West Point (Patton and MacArthur), Virginia Military Institute (Marshall), through the Mexican border conflicts, World War I, and the conflagration that was truly world wide, World War II. He intertwines ups, downs, disappointments, and successes, always tying them to family, personality, and sense of duty. You find yourself as a fly on the wall, as three of our greatest military leaders endure and rebound, time and again, through the flames of war and the sadness of personal tragedy. Reading this book, you come face to face with ordinary men, who drove themselves hard to become exceptional men. If you care about history, military history, and even the psychology of leadership, you don’t want to miss The Generals, by Winston Groom. But, be forewarned, these three giants of World War II are going to leave you with both a feeling of inadequacy that you should have done more, but also with the encouraging hope that you can do more. Right up my ally! Thanks! I know so little about these three. Putting it in my Amazon Cart.